Lock in a great price for Hotel Monte Mulini – rated 9.5 by recent guests! 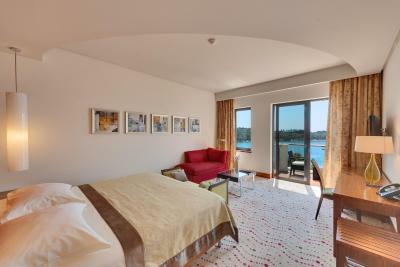 Very comfortable room with bay view. I tried to upgrade before arriving, but could not. As it turned out we were very satisfied with our room. Staff very helpful- could not have been more courteous and efficient. 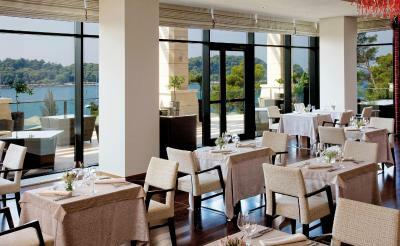 The architecture and design of the hotel, with floor to ceiling Glass overlooking the Adriatic was inspiring. 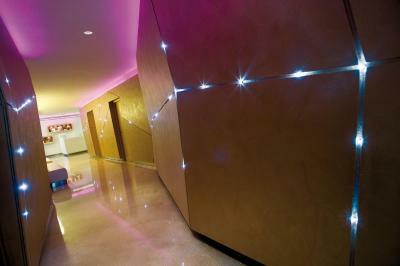 Every service, every facility, the room, the staff were all superb. This is an exemplary Five Star Hotel. The linens, bed, towels were excellent. The bathroom was large, wonderful walk in shower, two sinks, large bath. Housekeeping staff went well above the call of duty: breakfasts we superb, with varied foods including fresh fruit, cereals, your choice of eggs etc, excellent coffee and again superb service. To a person, the staff in every area of the hotel were there to meet your requirements and to do so in a kind, engaged and interested manner. They set a superb example for others in the hospitality industry. New modern facility with excellent staff and good English speaking staff. 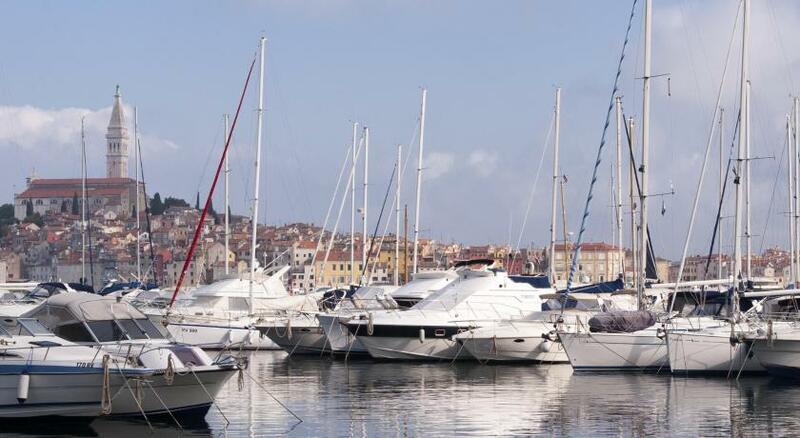 Access to Adriatic is right there and is private and very clean. Bar, lounge chairs and all needed facilities are right there at the beach. 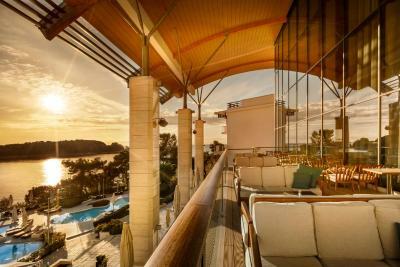 My daughter makes use of a wheelchair and the handicap room is one of the best I have seen in Croatia so far and very close to the lobby. Hotel pool is outstanding. Bed is large and high, very comfortable. The bathroom is large and comfy. Amazing shower without the shower-cabin with non-sliding tiles on the floor! Breakfast is outstanding with big variation of food. Everything was more than ok. Breakfast was super, staff was amazing and the place in general is superb. Zeljko from Wine Vault was a highlight of our stay, his presence and service was on par with the best of restaurants. the kindness and the patience of the staff. so helpful. 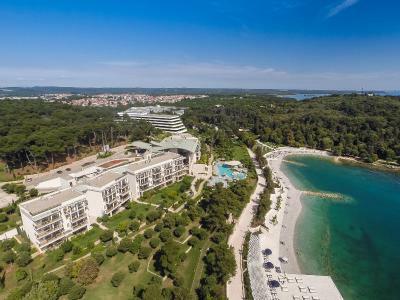 Hotel Monte Mulini This rating is a reflection of how the property compares to the industry standard when it comes to price, facilities and services available. It's based on a self-evaluation by the property. Use this rating to help choose your stay! 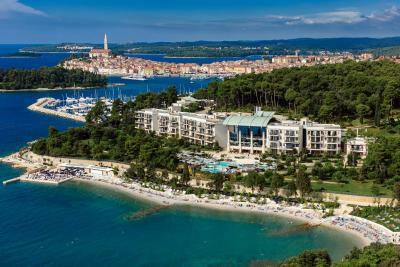 Hotel Monte Mulini is a 20-minute walk away from Rovinj’s town centre. It is surrounded by a lush, centuries-old protected nature park and overlooks a bay. 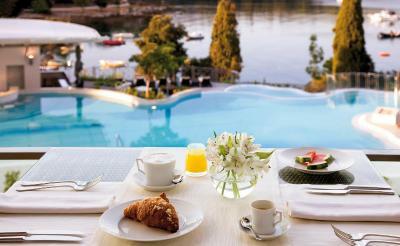 All rooms come with balconies offering views over the pool, the garden and the sea, free Wi-Fi and air conditioning. They are equipped with satellite TV, a minibar and bathrooms with walk-in showers. The Mediterraneo serves Mediterranean dishes. 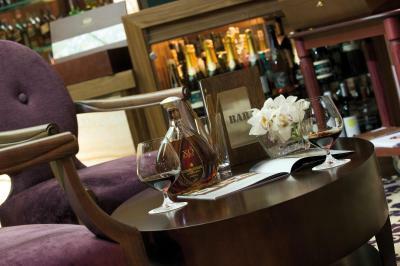 The fine-dining restaurant “Wine Vault” serves French and Mediterranean cuisine and offers the Chef’s table experience. 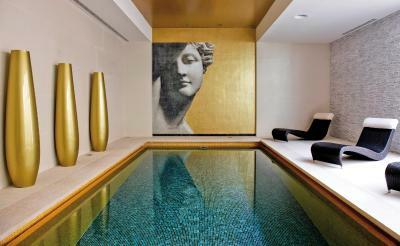 The Monte Mulini Art Wellness area is spread over 1,000 m². 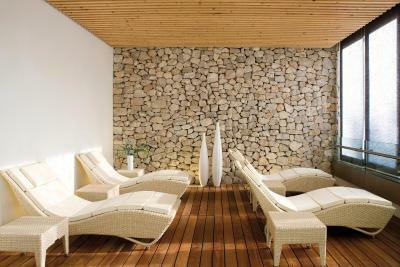 It comprises indoor and outdoor pools, saunas, a gym and a Mediterranean garden. 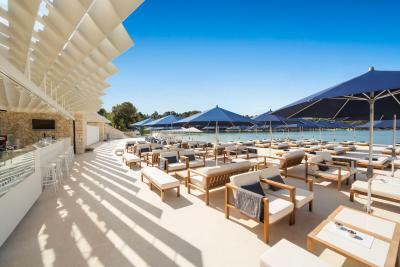 The newly opened "Mulini Beach" is a pebbly beach overlooking the Lone Bay and offers a wide selection of food & beverages, a cool and trendy Cocktail Bar, personalised service, beach concierge, hostesses, changing facilities and showers, toilets, towel counter and sun-lounger rental. 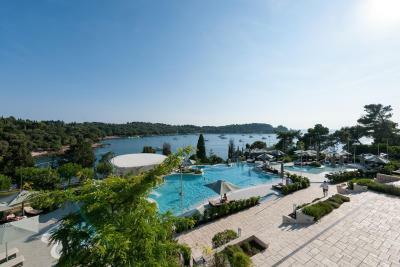 The Monte Mulini is 40-minute drive away from the Pula Airport. Airport transfers can be arranged on request. 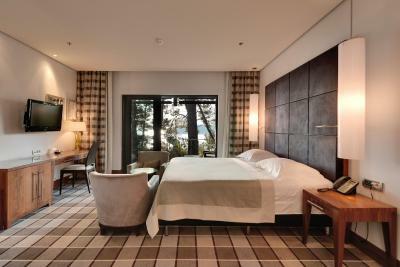 When would you like to stay at Hotel Monte Mulini? Elegantly decorated with warm and natural materials, these rooms are equipped with a mini-bar, pay and satellite TV, direct dial phone, personal safe and a wardrobe that can be accessed from the entrance hall and the bathroom. The luxuriously appointed bathroom includes 2 washbasins, a bath, separate walk-in shower, hairdryer, bathrobes, slippers and high quality toiletries. 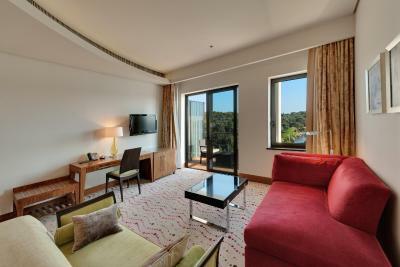 Premium rooms are located on the ground floor level with a terrace or balcony offering a partial sea view through greenery. Guests are welcomed with a complimentary bottle of mineral water and handmade local sweets once upon arrival. All guests staying in Executive suites will enjoy complimentary two bottles of mineral water every day and use of the espresso coffee machine “Illy” with daily refill. Handmade local sweets, chocolate pralines and a luxurious Molton Brown cosmetics once upon arrival. A wine and olive oil tasting once during the stay and a 20-minute test treatment at our Wellness & Spa Center. Gift voucher in amount of 100,00 EUR which can be used in our á la carte restaurants and a gift from the hotel. Free room service for breakfast. Featuring a balcony or terrace, this suite consists of a master bedroom with a luxurious bathroom (bathtub and walk-in shower), a spacious living and dining area, along with a kitchen and a guest bathroom with shower. The suite is equipped with mini bar, pay and satellite TV, direct dial phone, wireless Internet access, personal safe and a wardrobe that can be accessed from the entrance hall and the bathroom. 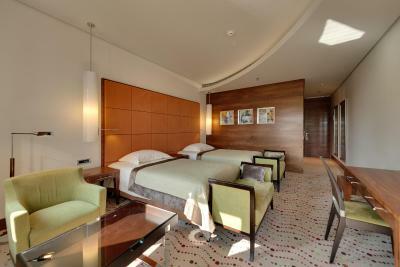 Please note that 2 suites of this type are located in the main hotel building and do not have a kitchen. Guests are welcomed with a complimentary bottle of mineral water every day. Handmade local sweets and a luxurious Molton Brown cosmetics once upon arrival. Wine and olive oil tasting once during the stay. These spacious rooms feature a terrace, while their standard equipment includes a mini-bar, pay and satellite TV, direct dial phone, personal safe and a wardrobe that can be accessed from the entrance hall and the bathroom. The luxuriously appointed bathroom includes 2 washbasins, a bath, separate walk-in shower, hairdryer, bathrobes and slippers. All guests staying in our Deluxe rooms will enjoy a complimentary bottle of mineral water every day. Handmade chocolate pralines and a luxurious Molton Brown cosmetics once upon arrival. A wine and olive oil tasting once during the stay and a 20-minute test treatment at our Wellness & Spa Center. A gift from the hotel. Featuring a terrace overlooking the sea, these spacious rooms are decorated with warm and natural materials, while their standard equipment includes a minibar, pay and satellite TV, direct dial phone, personal safe and a wardrobe that can be accessed from the entrance hall and the bathroom. The luxuriously appointed bathroom includes 2 washbasins, a bath, separate walk-in shower, hairdryer, bathrobes and slippers. Guests benefit enjoy a complimentary bottle of mineral water every day, handmade local sweets and luxurious Molton Brown cosmetics once upon arrival. 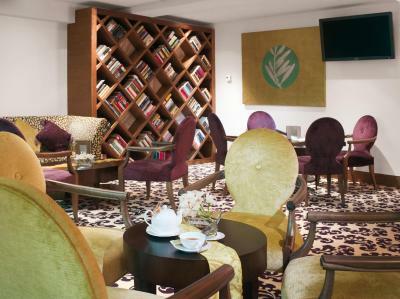 Consists of 2 interconnecting Premium Rooms, which are elegantly decorated and equipped with a mini-bar, pay and satellite TV, direct dial phone, personal safe and a wardrobe that can be accessed from the entrance hall and the bathroom. The luxuriously appointed bathroom includes 2 washbasins, a bath, separate walk-in shower, hairdryer, bathrobes, slippers and high quality toiletries. Guests benefit from a complimentary bottle of mineral water every day, handmade local sweets and luxurious Molton Brown cosmetics once upon arrival. 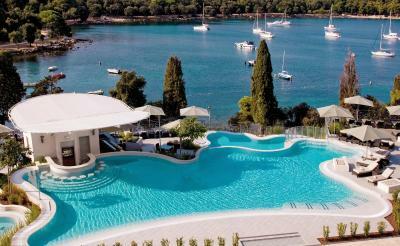 Hotel Monte Mulini is a 5 Star Boutique Hotel. Our luxury hotel succeeds in combining natural materials and comfort with elegant design, offering the modern traveller a sanctuary accommodation for relief and relaxation. 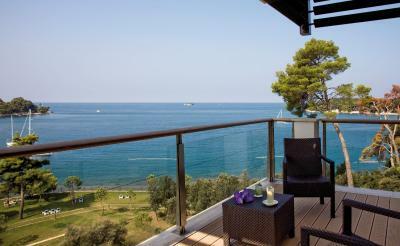 House Rules Hotel Monte Mulini takes special requests – add in the next step! Hotel Monte Mulini accepts these cards and reserves the right to temporarily hold an amount prior to arrival. Nice view and clean. Room is big. We were presented with vouchers for a free massage at the spa and for the olive oil tasting. We went to the spa and were informed that they're fully booked for the entire weekend (so why did they give us the vouchers in the first place?). We went to the olive oil tasting 15 minutes past its commence time where they informed us that it was already over??? 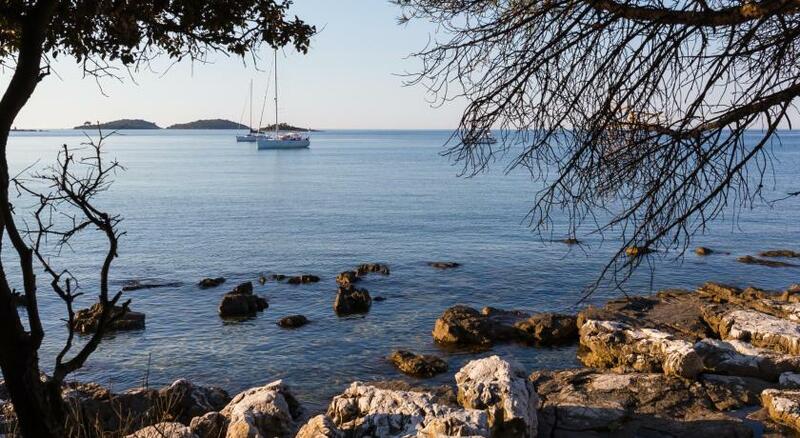 Since their restaurant prides itself as having one of the best wine selections in Croatia, we expected to be able to have a more in-depth conversation about their wines, but either they didn't know enough or couldn't be bothered by a more lengthy conversation. They were polite and professional, but that was it. Also, there was an empty cigarette pack on our balcony and out seats didn't have cushions, like the ones in other rooms. The toilet seat in the bathrooms was not thoroughly cleaned. Parking place, garage was closed at 9pm when we wanted to park after arriving from walk. The wifi didn't work while i was there. Very frustrating and I'm still waiting for a compensation refund because of this. Just one small thing. There was not too much fresh vegetables at breakfast. There was no tomato, paprika, cucumber or green salads. No complaints about our stay. Allthough there is no drawback visiting Monte, they was some construction work few meters down on new Park hotel and we Had some noise regarding construction. Nothing to add here other than would have been good to have a kettle in the room.